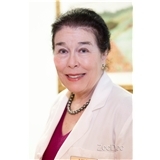 Martha T. Cole, MD (Chevy Chase) - Book Appointment Online! Dr. Cole is a board certified gynecology practitioner. She provides comprehensive care for the reproductive system in women, performing a variety of preventive and diagnostic tests to treat diseases, infections and complications found in women. Dr. Cole provides ongoing care for women, performing yearly evaluations to ensure the reproductive health of patients, genetic counseling and screening for hereditary cancer risks, minimially invasive surgery as well as counseling on preventive care for women. Dr. Martha Cole graduated from George Washington University School of Medicine and is licensed to practice medicine in the state of Maryland, where she is affiliated with Sibley Memorial Hospital.